The Performing Arts community achieved new heights at this year’s Twelfth Night event in the Barony of Sacred Stone! Peruse the pictures below and watch out for these gentles in the coming months if you want to come join in the fun! 1) European Dance! Sacred Stone’s own Lady Elizabeth of Northumberland led the dancing with excellent teamwork and support from Lady Nicolosa d’ Isenfir, our Royal Player in Dance. 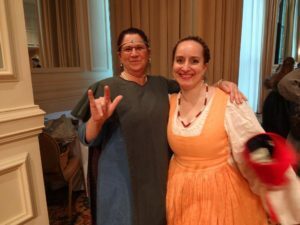 These two ladies brought dance education and graceful leadership to the event such that over 50 people got to enjoy the noble art of dance at the evening ball. 2) The dancing was supported by skillful and joyful efforts of Mistress Azza and the pick-up dance band under her direction! Ten instrumentalists followed Azza’s fearless direction and organization to produce high energy, live dance music deep into the night. Mistress Azza also serves as a Royal Player and will be producing live pickup bands at more events in the future. Watch for her at Ymir! 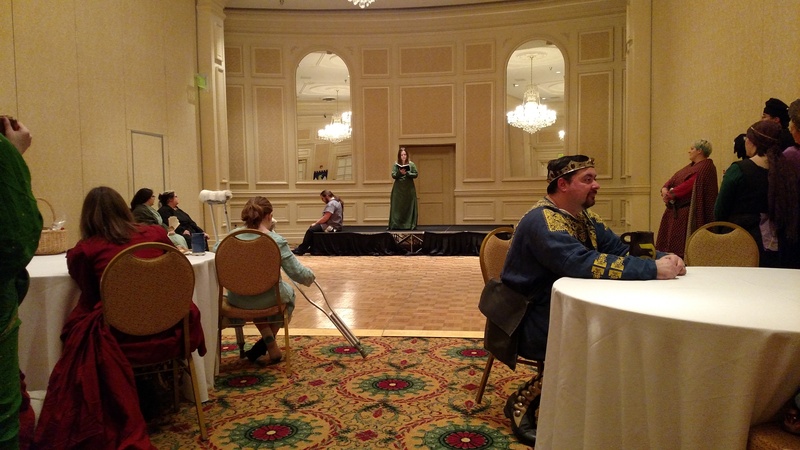 It’s one of the most excellent pieces of theater I’ve seen at an SCA event in years! These still pics are of some of the other excellent monologues. 4) One of Sacred Stone’s multi-talented performers, Lord Akiyama Kazuhiko, took on the great challenge of producing the Twelfth Night Murder Mystery play… and it was a hoot! 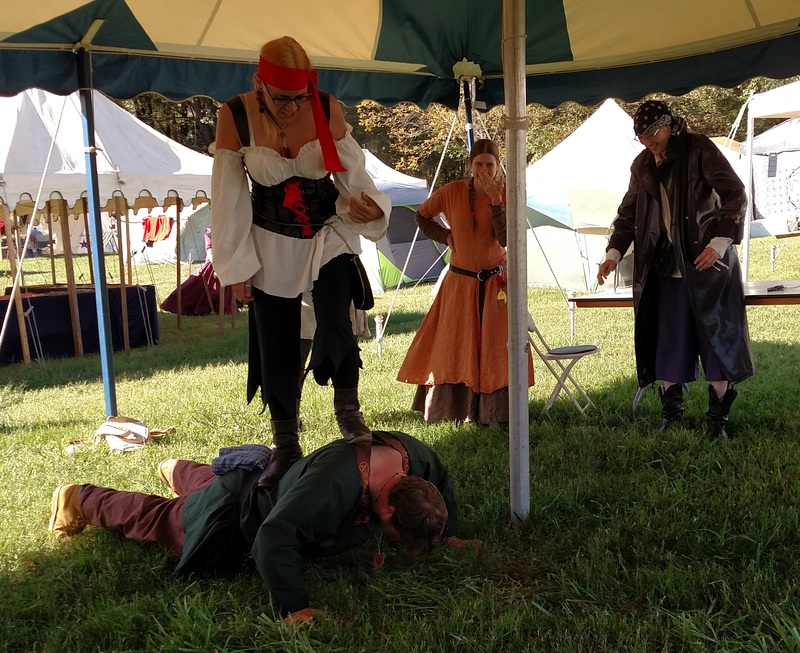 The cast was talented and engaging as they kept us laughing and guessing at the causes of sudden death all day. 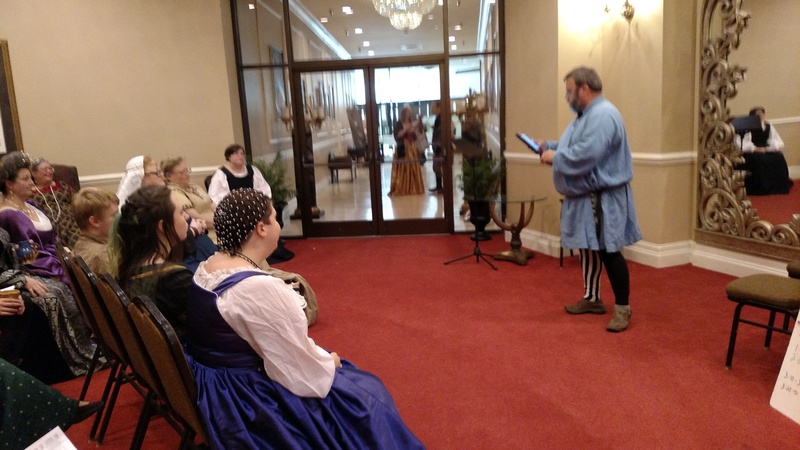 5) The Royal Bard competition proceeded per tradition at Twelfth Night with a long list of talented participants. 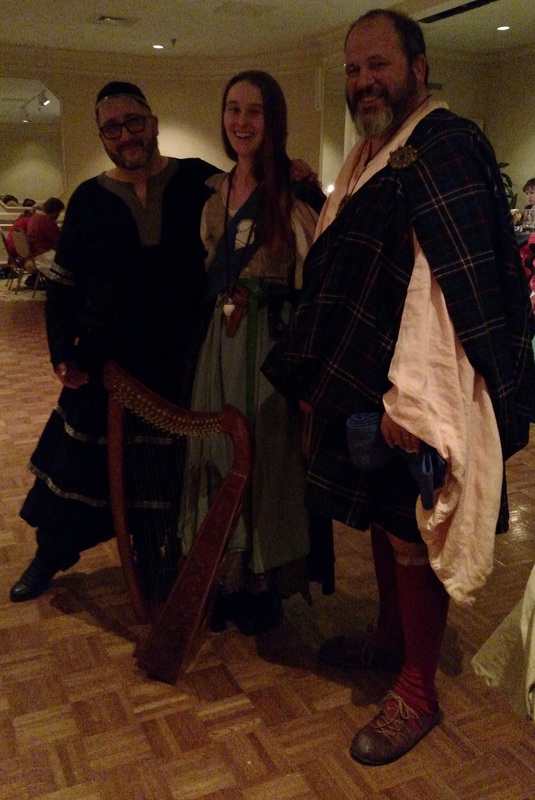 Royal Bards for 2016, Lord Gideon ap Stephan and Master Ruaidhri an Cu, presented three brilliant performers to Their Majesties for the final competition during feast that night. 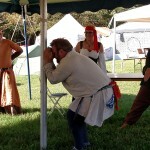 Despite the most extremely challenging conditions of noise and interruptions in the feast hall, all three competitors, Lord Hakon Erfikvaethiskald, Harper an Cu, and Lord Richard Wyn, proved worthy of the position. 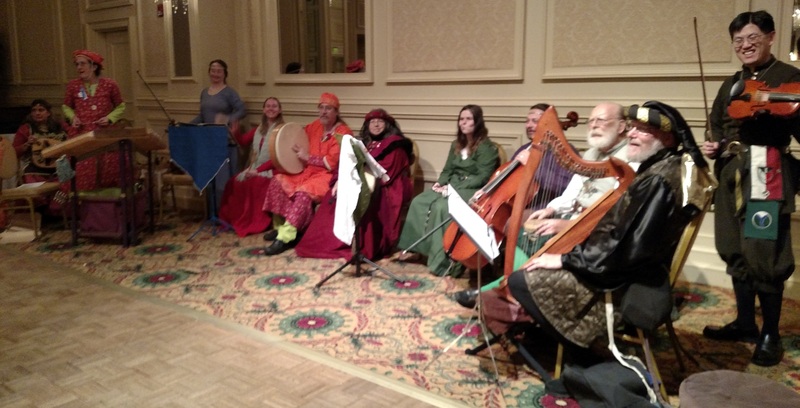 The young lady Harper An Cu finished the evening with the title of Royal Bard! 6) The Rotunda, the circular area between the staircase and hall of art, hosted a non-stop stream of performers bringing music to the people throughout the day. Performers in the Rotunda included: Lord Johann von Solothurn, Cornelia Caeciliana, Baroness Margaret Cochrane, Baroness Morgan Wolfsinger, and the amazingly talented instrumental group Lillies Among Thorns! 7) The lunchtime tavern also brought some musical thrills when “Painted Wheel” band took the stage and kept the lunch patrons entertained! 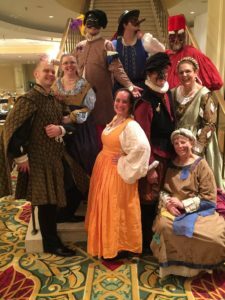 Twelfth Night again brought too much fun to cram into one day! 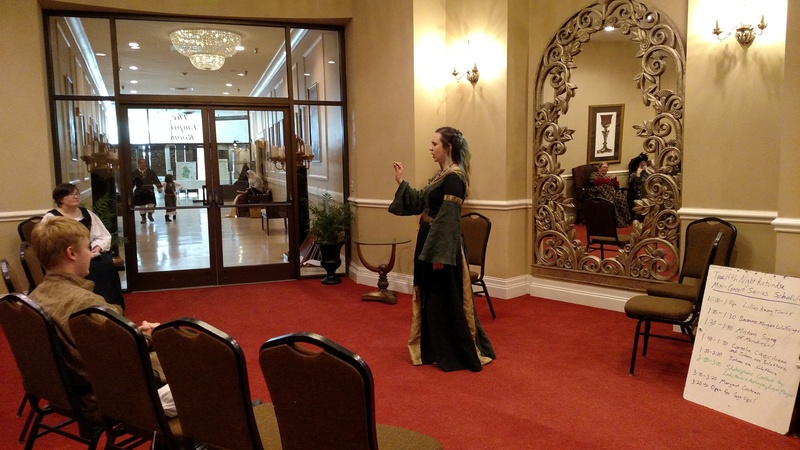 Many thanks to the event’s Autocrat, Baroness Caitlin Macdonoughue for her tireless efforts at organizing and providing event space for the Performing Arts Community to enjoy their arts! Have you ever seen performers having fun on stage and craved joining in? Well, now you can! And not just “throw them in and hope they float” Nononono….. We will actually *teach* you something before making you face the terrifying stares of an expectant audience! (WARNING: All shows at War of the Wings are BYOChair! There will NOT be enough chairs for everyone, so BRING YOUR OWN CHAIR PLEASE!) And don’t worry about the deadline to register for classes… just show up if you haven’t registered and we’ll make room for you! No class size limits on Performing Arts Classes! Have you ever seen the TV show “Who’s Line Is It Anyway?” either the American version hosted by Drew Cary or the original on BBC? 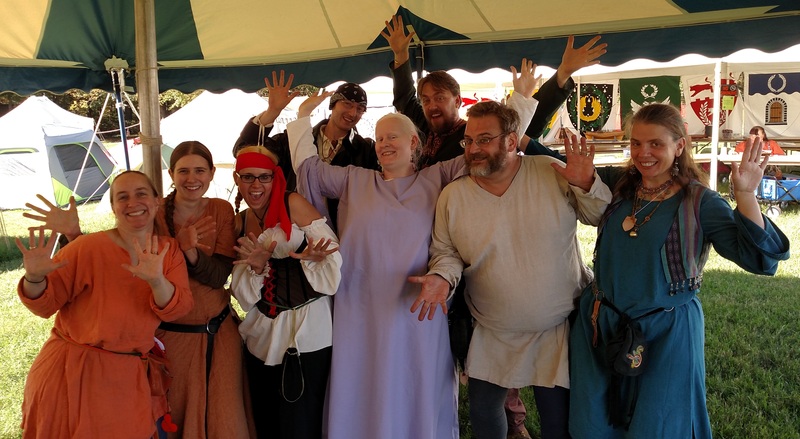 We’re going to run a mini-version of that show ourselves at WoW based on the version die hard performing arts geeks at Pennsic have been doing for many years. But before that, a class will be taught in Improvisation Skills. You must take the class if you want to be in the show, but you can take the class and not perform in the show. 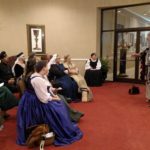 The class will run through six basic rules of improvisation that can help you in everyday conversation, living in persona at SCA events, better performance during SCA court schtick, and also performing improvised commedia dell’ arte. 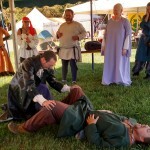 We will also learn the short form improv theater games that will serve as the structure of our Who’s Line Doth It Be Show. Improvisation Skills Class runs from 1:00 – 2:00pm. Who’s Line Doth It Be show runs from 2:00 – 3:00pm. Any and all musicians are welcome to join in a new kind of pick up band! To sign up, click here! Middle Eastern Dance Band will Rehearse on Thursday 2-3:00, Friday 3-4:00, and Saturday 2-3:00, then play for a Hofla dance party starting at 8:30pm Saturday night! 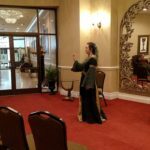 Three classes are also offered for learning middle eastern dance. 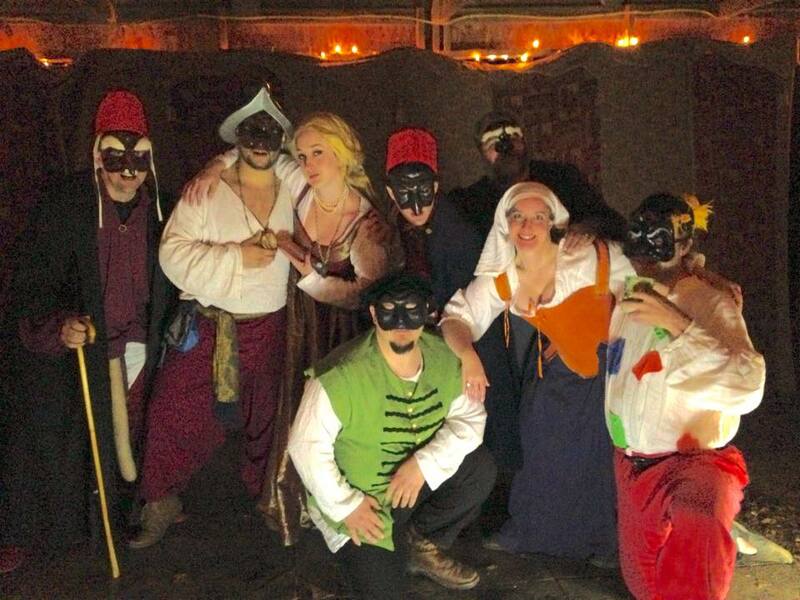 Learn the basics of Commedia dell’ Arte, the Italian improvised comedy play style that was very popular throughout Europe in the 16th century. Intro to commedia class runs from 12:00 – 1:00pm. 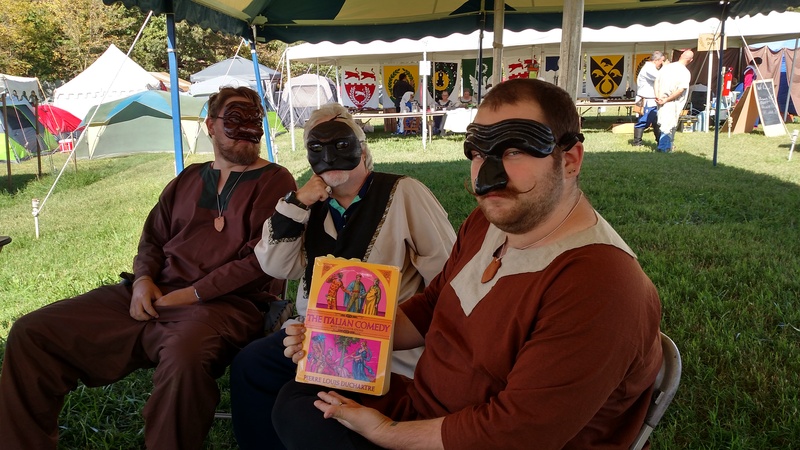 Then whoever is ready for an intense creative thrill… we will run an Iron Commedia session from 1:00 to 4:00pm where we will write a commedia scenario based on who shows up and what characters people want to play. 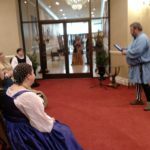 We will rehearse until 4:00, then we will put on our short play in the half hour before court as pre-court entertainment! (Court starts at 5:00pm) Anyone who wants a part in the play gets one, but you have to have taken the Intro to Commedia class either that day or some other day to join in. Once we start writing the scenario at 1:00pm, the process takes off like a rocket! 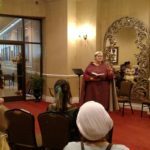 The Challenges put forth by Lady Scholastica Joycors, Kingdom Bard of 2014, are set forth as “Fyts of Madness” which will challenge bards to create material either ahead of time or in the moment. Bards will then also have the opportunity to perform their material right there in the midst of madness! 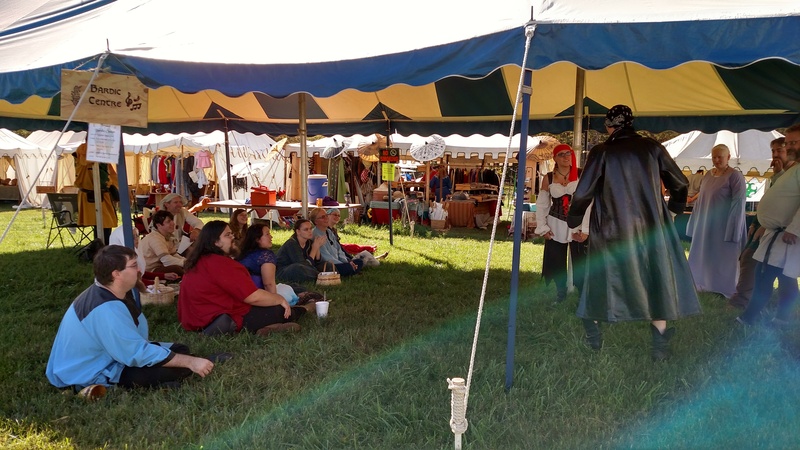 Depending on how many participants show up, bards can exchange critique and improve on their works, discuss, challenge each other more, and let the madness lead them. 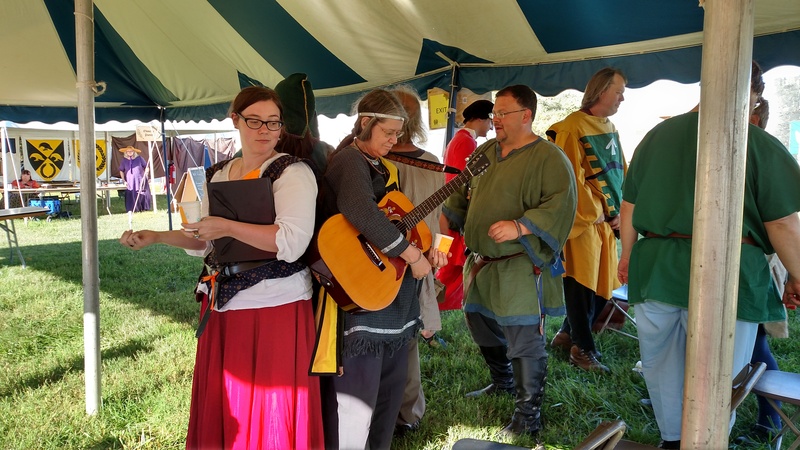 Lord Johann von Solothurn, the current Kingdom Bard, will help you get started in becoming a bard and/or help you take your bardic lifestyle to the next level based on who shows up to the class and what questions they bring. Lord Johann von Solothurn continues to spread the wisdom by offering resources for research for all kinds of performers. On Saturday evening, after you’ve had all this great instruction on performing all day Friday and Saturday, you can put it to good use if you signed up ahead of time to claim a 10 minute performing slot during the Saturday night concert! 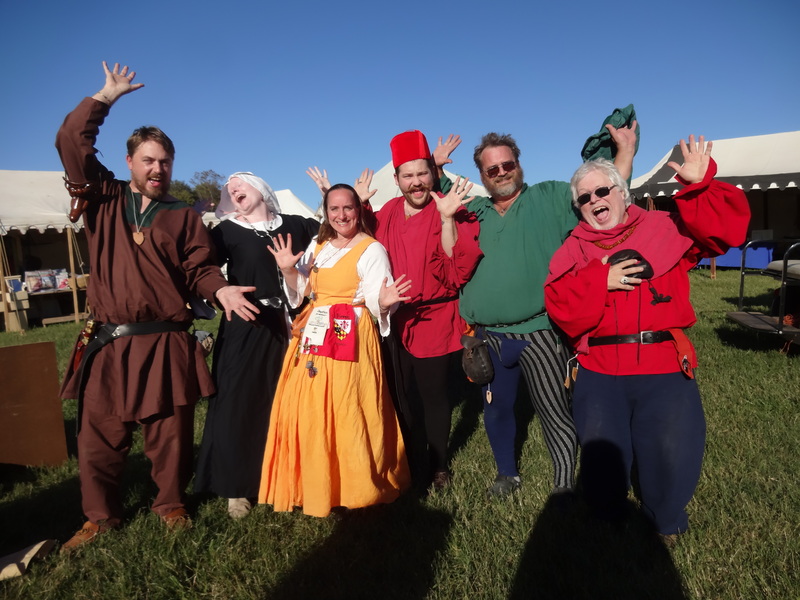 Now, the Saturday night performances will begin with the Inter-Baronial Bardic Champions Competition starting at 9:00pm where those performers who have earned the honor of serving as their barony’s Champion in a performing art will compete for glory, honor, and spiffy prizes. AFTER, the Champions have competed, the regular concert will commence with a lineup of performers who only had to sign up ahead of time. Did you sign up ahead of time on the Google Form here? If you miss signing up, you just move to the end of the line and a sign up sheet will be posted in Vingulf Hall so the organized concert can devolve into an all-night jam if performers show up who wish to share the space. To sign up for a 10 minute performance slot in the Bards and Brewers Concert on Saturday night, click here! 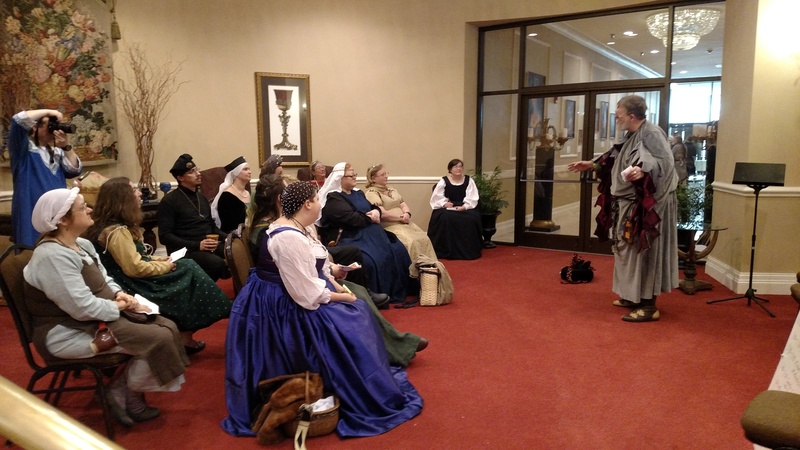 The Kingdom’s Royal Brewer is leading his fellow brewers in gathering in the same space as the concert in Vingulf Hall on Saturday night starting at 9:00pm to share the fruits of their labor. So, no need to sign up, just bring your brewed creations to share! Rumor has it that a special friend from the Barony of Windmasters’ Hill is also bringing a supply of Savory Toasted Cheese, so the evening will be full of brews, cheese, and song! 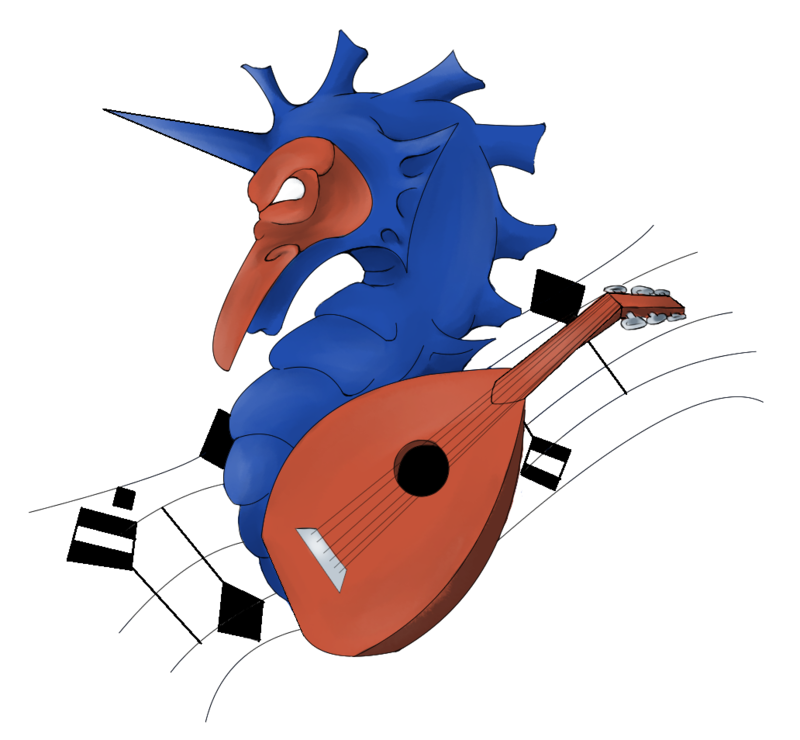 Upcoming Atlantia Events with Activities for Performers! Performing arts activities there include: Friday night dance practice and informal bardic at the “Tavern”, dance and dessert revel after feast on Saturday night organized by Baron Geldamar le Farceur, a bardic circle on Saturday night in the breezeway of the Whispering Pines Yellow cabins using the “Pick, Pass, or Play” format organized by Chung Tai Ren. 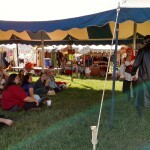 A multitude of performing opportunities and classes on performing happening all day! So many, I can’t even type up a summary. I’ll just rely on mentioning that the teachers for these classes include our current Poeta Atlantia, our recently stepped down 2014 Kingdom Bard, and a few of the highest quality Laurels involved in poetry and bardic arts our fair kingdom has to offer! If you’re into poetry, singing, or general performing guidance, you can’t beat a day spent in Ponte Alto on Feb 21! Ymir is a huge event, and the performing activities include: afternoon bardic competition at 2:00pm in the merchants area, a commedia play performance by i Firenzi starting at 3:30pm in the big hall, European dancing starting 30 minutes after feast ends, and a bardic circle using the Pick, Pass, or Play format also starting 30 minutes after feast ends. Performers do have a place at the KASF! 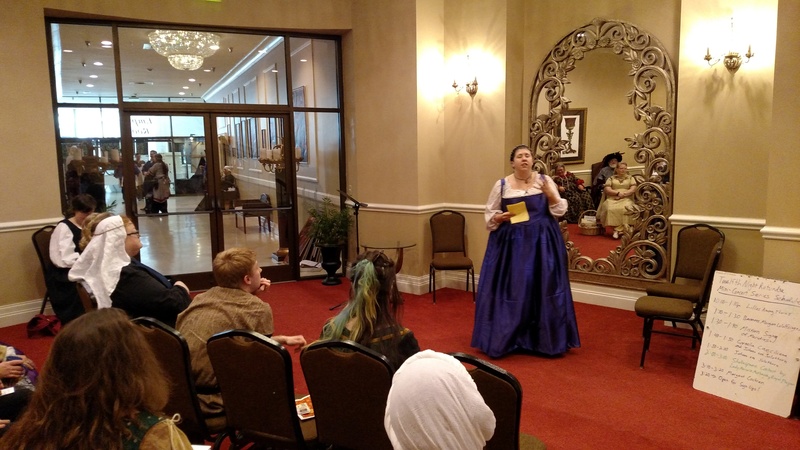 Pre-determined activities include the Gyrth Oldcastle Poetry Smackdown and the performance of a period commedia dell’ arte scenario by i Firenzi. Performances are also a part of the Persona Pentathlon and Triathlon. Also, Lady Katarzyna Witkowska will be teaching a special class on Francois Villon, a 15th Century French poet. For any questions about how to work in a performance you want to bring, contact the Autocrat, Mistress Mordeyrn Tremayne, with the email provided on the web page. 5) Of course, Gulf Wars, March 15-22 in Lumberton, MS, abounds with performing opportunities and classes, so if you’re going, just check out the web page for Performing Arts http://www.gulfwars.org/index.php/gw-activities/arts-sciences/performing-arts and stop by the Sable and Gules Theater and the Green Dragon Inn while you’re there! 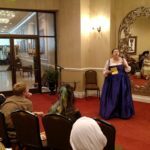 If you have questions or other events to suggest to performers, please leave a comment here on this blog and I’ll find you an answer and promote your event! 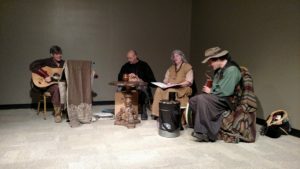 The Barony of Storvik held the event “Storvik Song and Dance – All The World’s A Stage” where a wide variety of performances entertained the people including dance, music, theater, and more! This portion of the report is submitted by Lady Teleri the Well-Prepared (and boy is she!). First, Their Excellencies of Storvik, Griele and Badouin, opened the event, welcoming all to the hall. Yves de Fortanier, come from Meridies, and Mirabella taught an Absolute Beginner Dance Class lasting one hour. 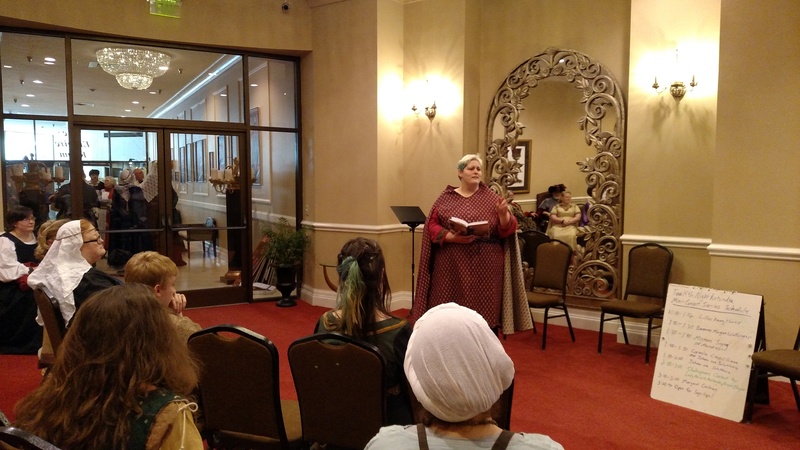 Lady Swannoc Beag regaled the hall with a story of her experiences with the Ghost of the Dulin Waters, the eye(s) of St. Amblyopia, and the power of compassion. Lord Richard Wyn sang, with and without his guitar, songs of the current Middle Ages and the Tudor era. 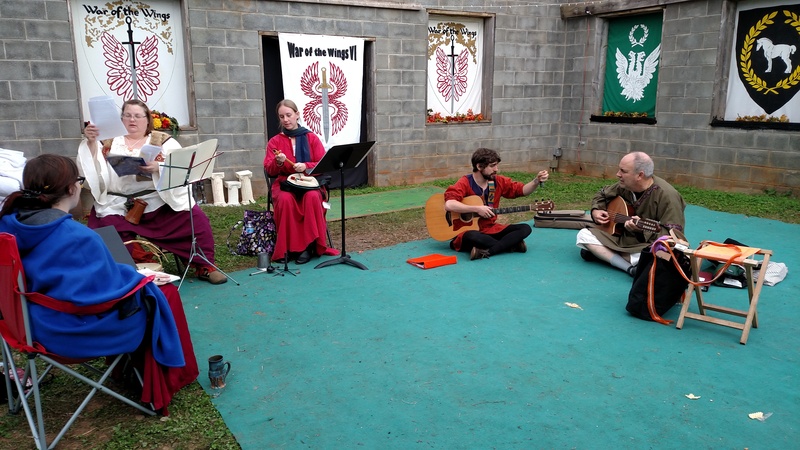 Members of Clan Cambion (having recorded their names without their many honorifics as Igor, Fevronia Murometsa, Volodya of Cambion, Gwaithin of Cambion, and James of Rutland) did perform harmonies both rousing and sublime. Yves de Fortanier did teach the dances “Goddesses” and “Hide Park” in a class lasting one half hour. Vagando Stolti, a commedia dell’arte troupe in Lochmere, did perform three most humorous sketches, alerting the audience to the dangers of feeding one’s dragon energy drinks. Their names be given as Avelina del Dolce, James Butler, Constanza de Talavera, Kalie, and Deryk LeGard. 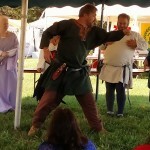 Three Left Feet, a dancing troupe who form the third pillar of Storvik’s Monday practices along with the heavy and rapier fighters, exhibited their precision and grace. Their names be given as Fred Blonder, Eowyn Ellison, Dale Neiburg, and Melinda Grotsinger. Lord Maugorn the Stray, playing tambourine, guitar and harmonica all at once, sang a trio of pieces. 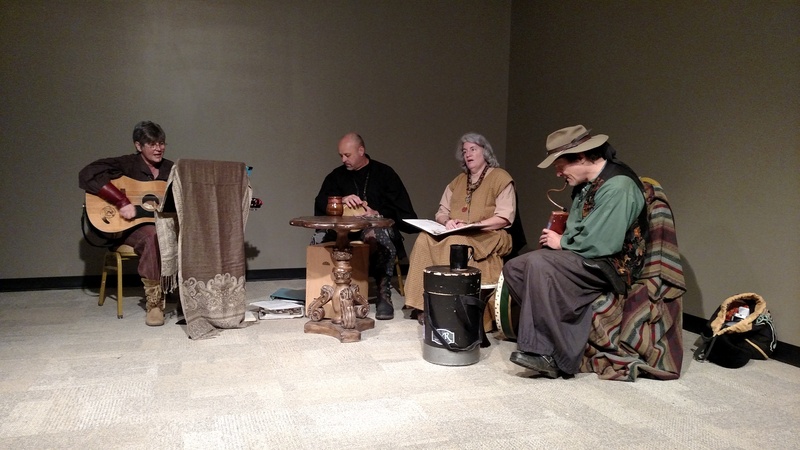 At one point, needing a member of the audience to play the vuvuzela, Baron Baduin did volunteer – and revealed that Storvik’s ring-giver is a man of many talents, including the playing of trumpets! 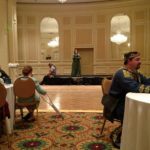 Lady Gwen of Lochmere sang some Tudor era songs. For the first, she was accompanied by Lord Watkin of Kent on mandolin. Despite the duet being unrehearsed, it was a most delicate and pleasing sound. 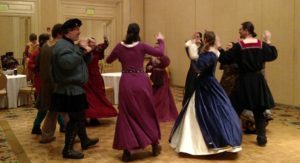 Avelina del Dolce did teach Beginning 15th Century Italian Dances, being “Petit Vriens” and “Amoroso,” in a class lasting one half hour, or somewhat more. Master Rhuaidhri an Cu told tales and sang songs to the delight of all. Lady Scholastica, having so recently laid aside the responsibilities of Royal Bard, amused and edified the populace with a tale of foolish Jack and his many attempts to bring his wages home. The Performing Artists’ Guild Extraordinaire (PAGE) of Bright Hills played several pieces in a consort of harp, mandolin, and flute. Their names be given as Yseulte Trevelyn, Reyne Telarius, and Bridgette Cunningham. 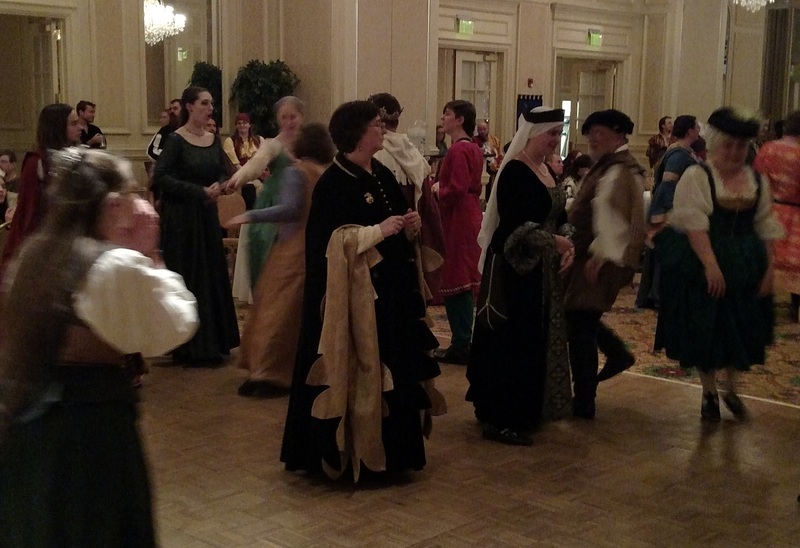 Finally, before feast, there was a basic beginner’s dance class. Many musicians did lend their skill on behalf of the dancers. 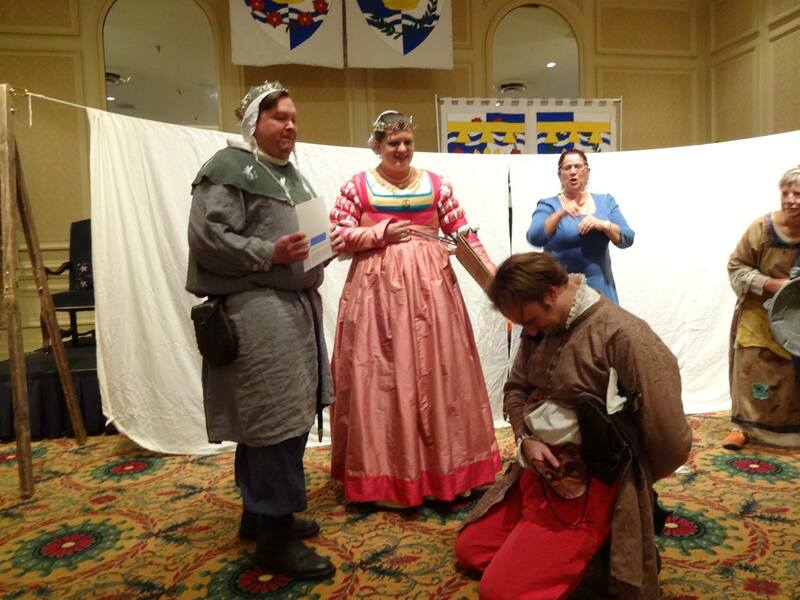 With Lord Maugorn the Stray acting as the apparent ringleader, the others whose names I recorded are: Patricia of Trakai, Watkin of Kent, Rose, James of Rutland, Cynthia Anne of Silverlakes, Donal Sutton, Sir Jeff Schmitt, Barbara Schmitt, and Lisbeth of Spinning Winds. 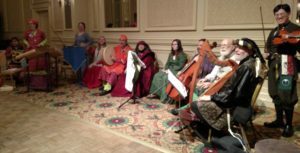 After the potluck feast, I retired to the bardic circle, where 11 good gentles kept company with songs, stories, music and poetry. I cannot speak to the attendance at the Grand Ball, being as I was not present for it. All errors, mis-spellings of names, and absent honorifics are my own, and I plead that they are not from any malice but rather the perpetually harried state of the deputy autocrat. All in all, I have heard that slightly fewer than eighty gentles passed the day with us in good cheer, despite the threat of foul weather. 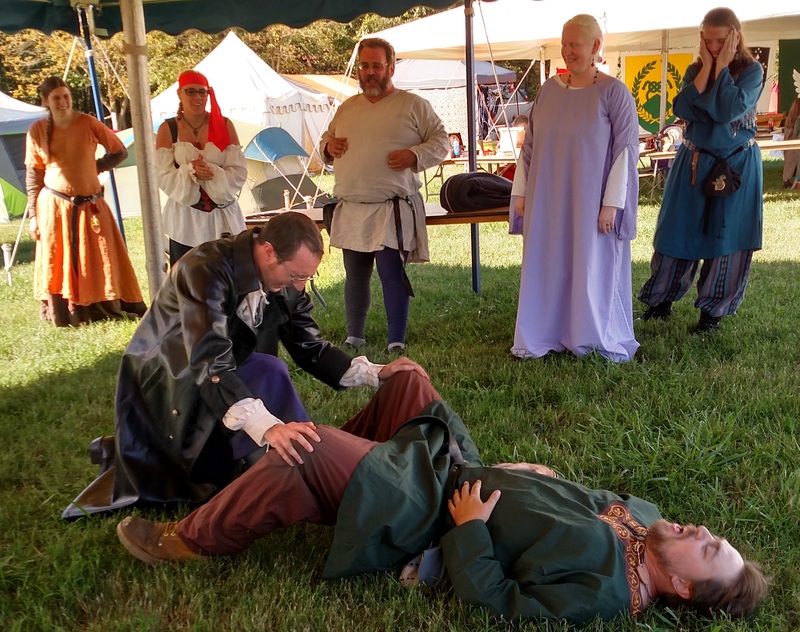 Their Excellencies of Storvik pronounced themselves well-pleased with the efforts of Lady Sonya (aka: Patches) – indeed, elevating her into their Order of the Lozulet for all her good works – and they desire that the event occur again in the next year. Beginner Dance class taught by Mirabella Walmesley of Grimsby and Yves de Fortanier included Belle Qui Pavanne, Black Alaman, and Hearts Ease. Advanced English Country Dance taught by Yves de Fortanier included Goddesses and Hyde Park. 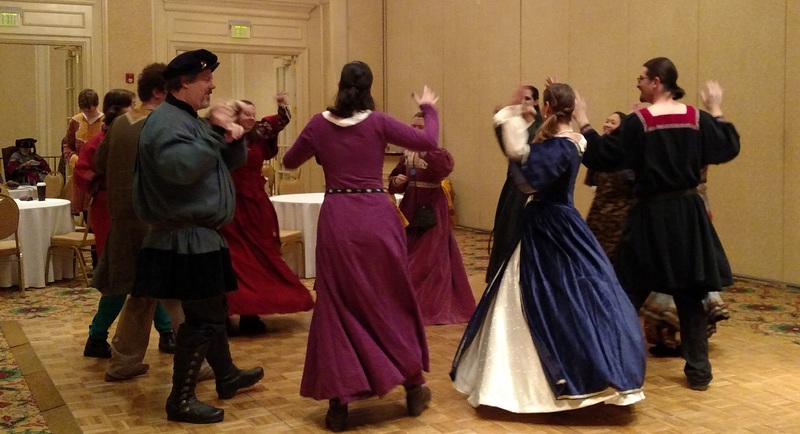 15th Century Italian Dance taught by Avelina del Dolce. She did Petit Vriens and Amroso. More general dance dictated by student requests was taught by Yves, Mirabella, and Patches. 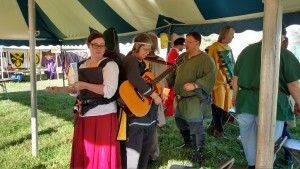 Baron Girard and Baroness Maaline had the privilege of observing the bardic competition in the afternoon as well, and after careful consideration they decided that a further competition was needed before a decision regarding the Black Diamond new baronial bardic champion could be made. 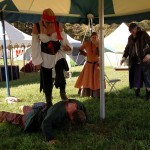 A second round of competition and decision will be had at Seven Hills Skirmishes (http://acorn.atlantia.sca.org/event_flyer.php?event_id=3a8e3553) on March 21 in Lynchburg, VA . If you have questions about anything posted above or wish to add or offer corrections, please post a comment below!